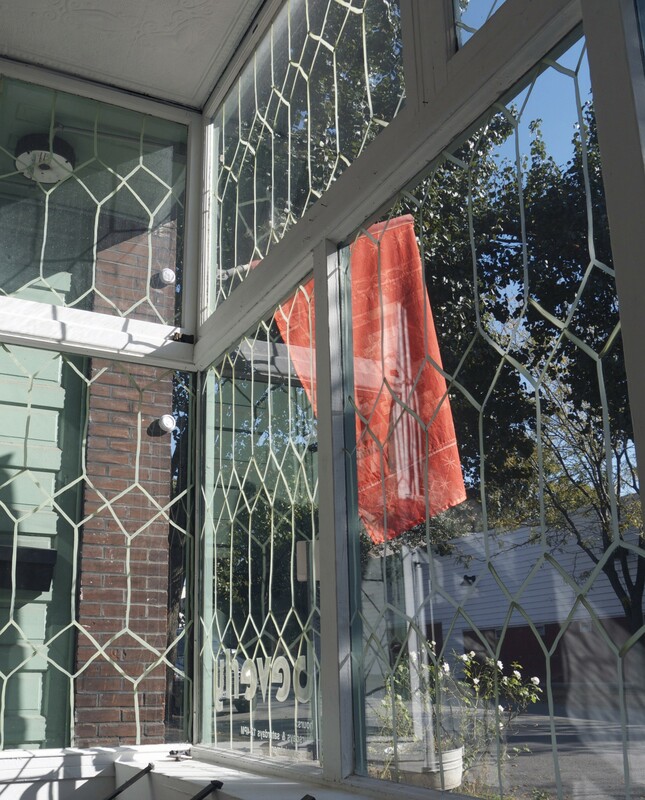 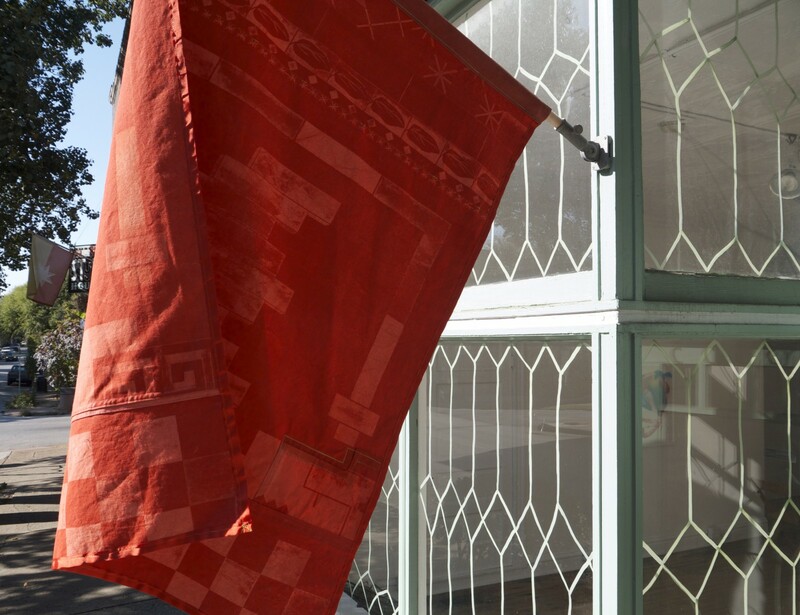 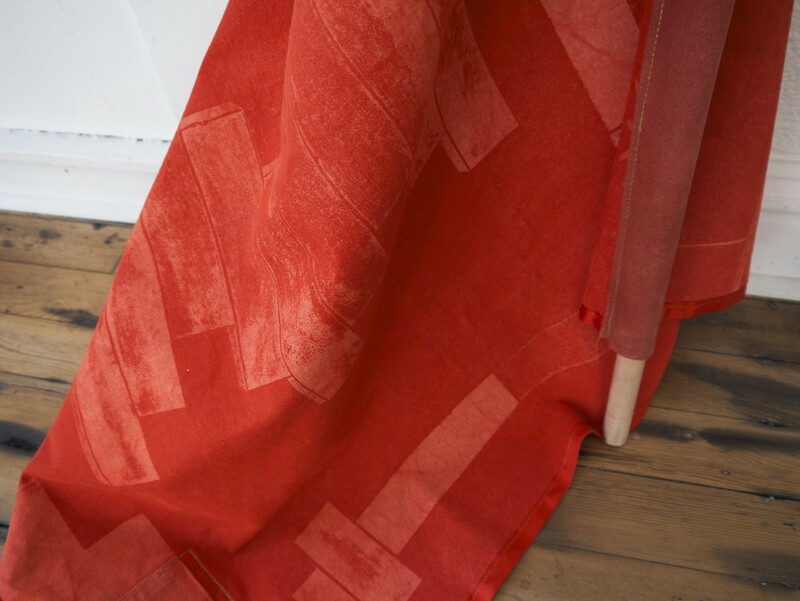 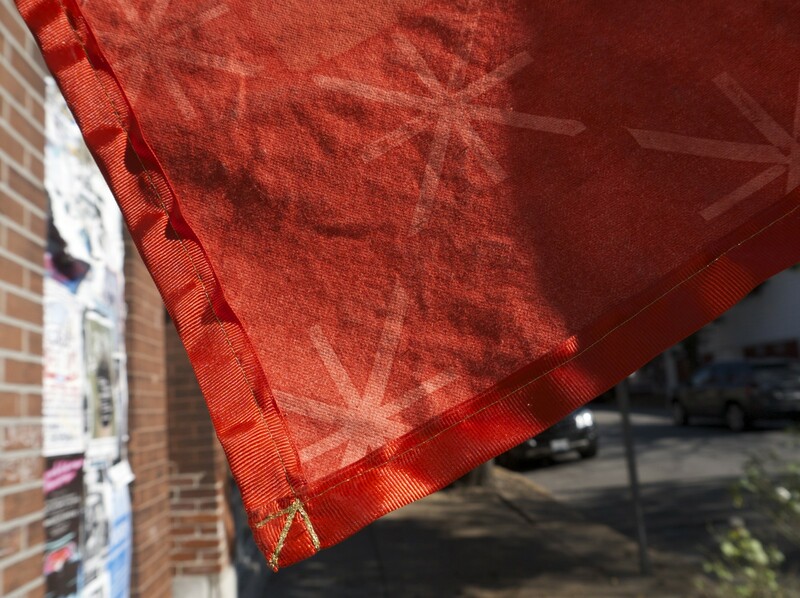 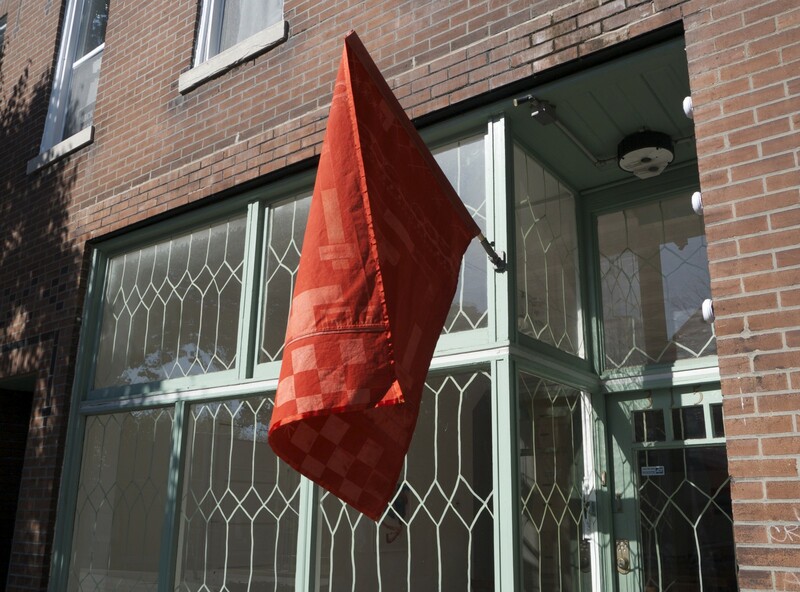 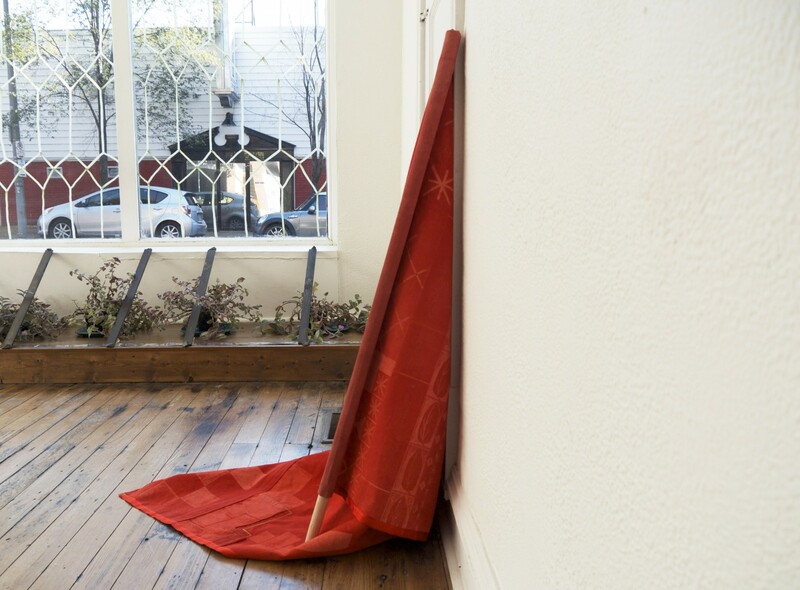 Everywhere Around Us is a flag specific to a time and place: 3151 Cherokee Street, the current site of two Saint Louis galleries: Beverly and Fort Gondo, and it was made expressly for Bad Habits (Remember Me), a group exhibition co-curated by Allison Lacher and Cole Lu. 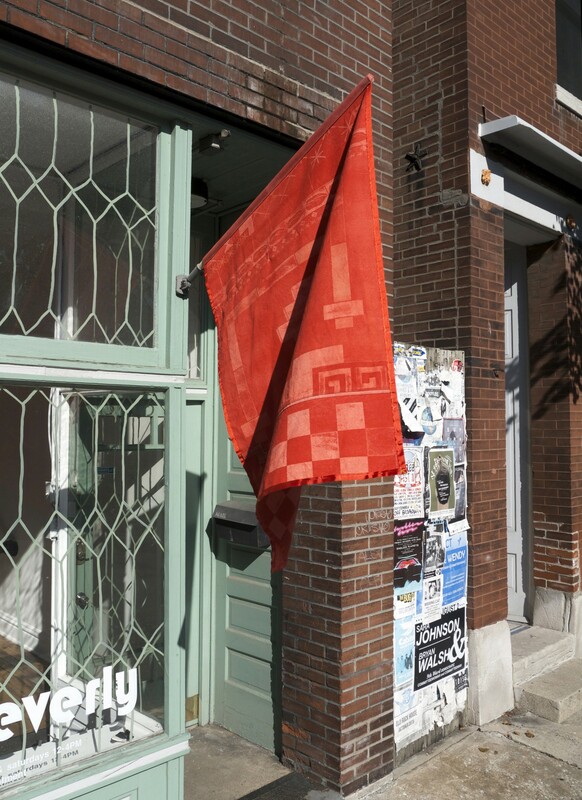 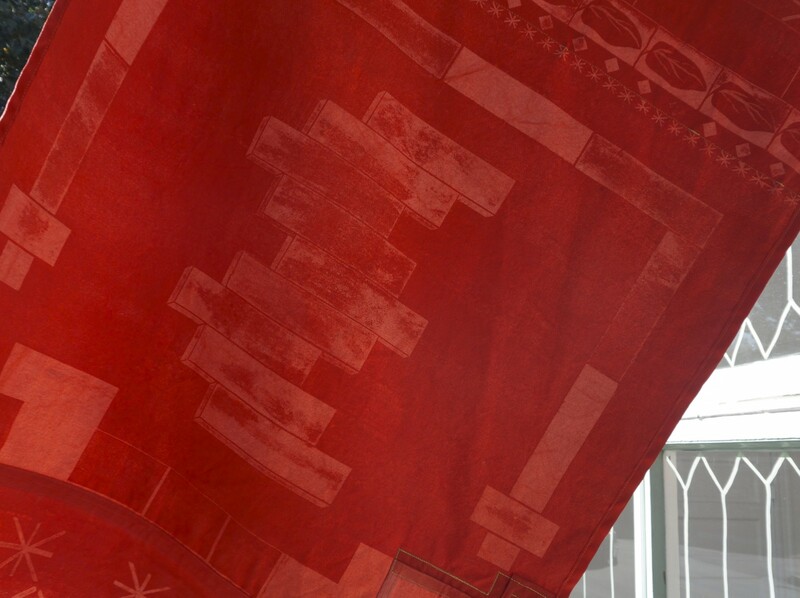 The address and other nearby buildings are the flag’s source material; the flag itself serves as both a monitor of the surrounding architecture–in flux–and as a vessel to accentuate the easily unnoticed structures. 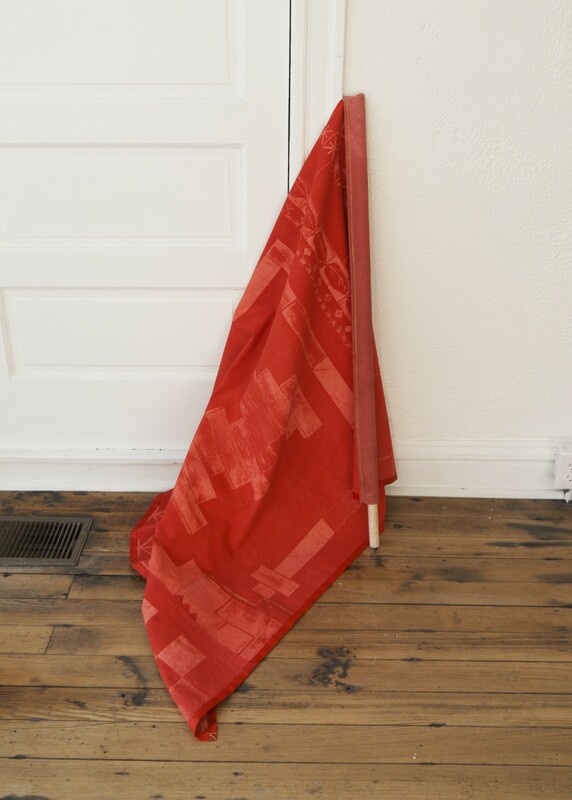 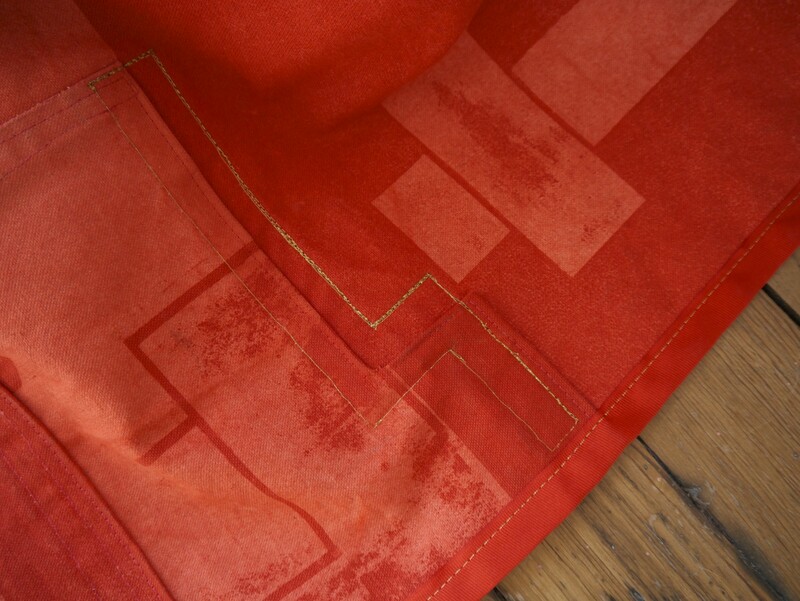 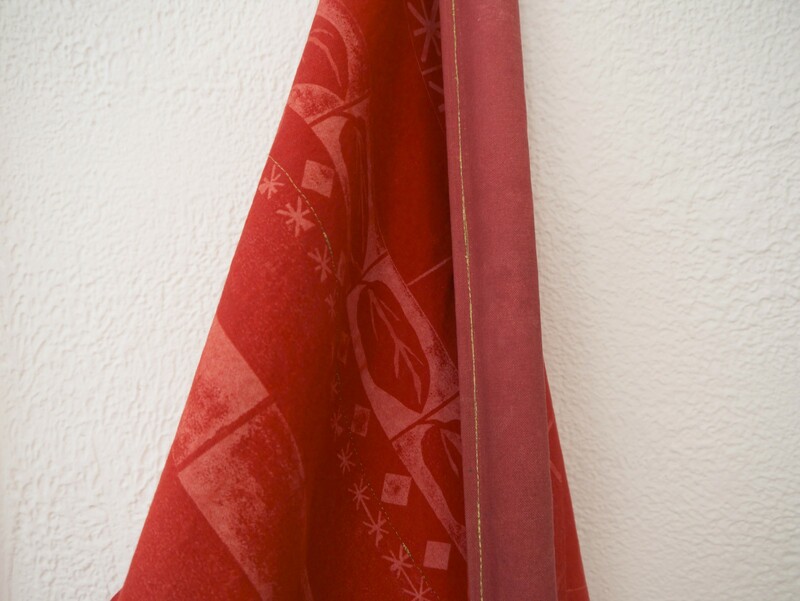 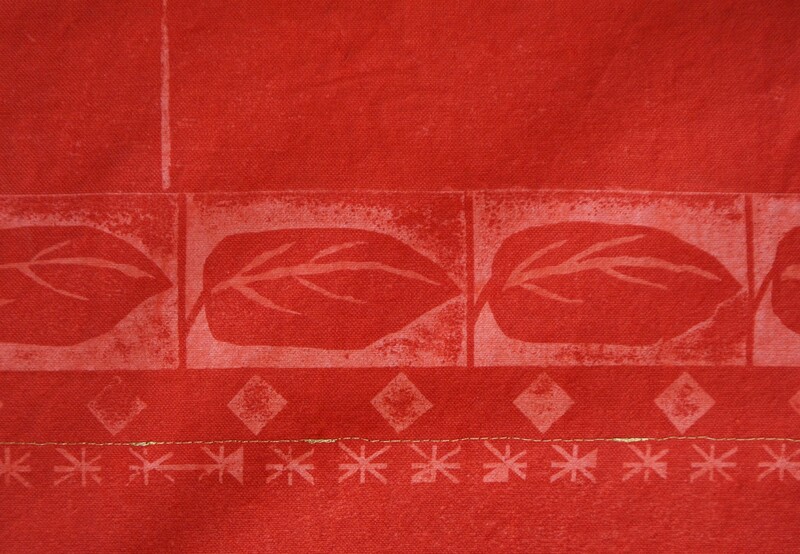 Ninteenth century brick patterns are depicted on the flag as minimalist symbols of those found on nearby façades. 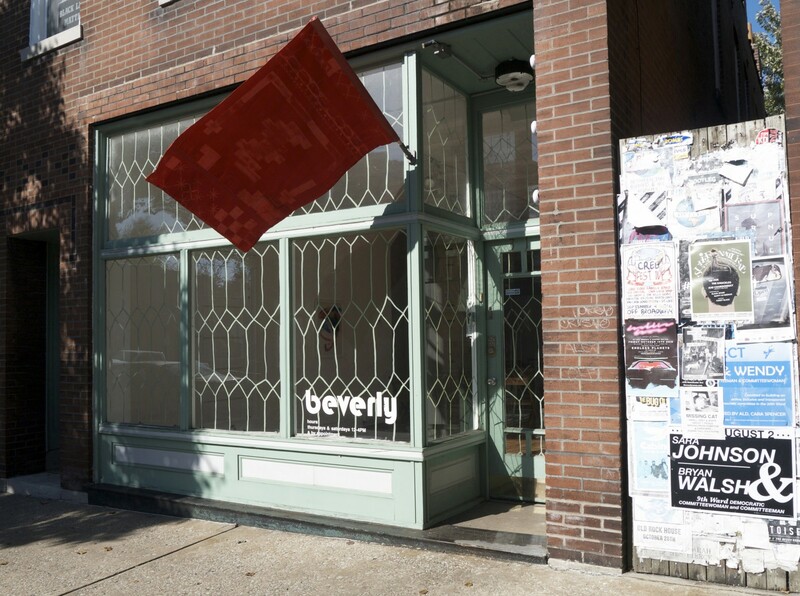 Printed foliage is patterned on the flora of the neighborhood–and references the plants utilized in Jessica Caponigro’s storefront installation, also curated in the exhibition. 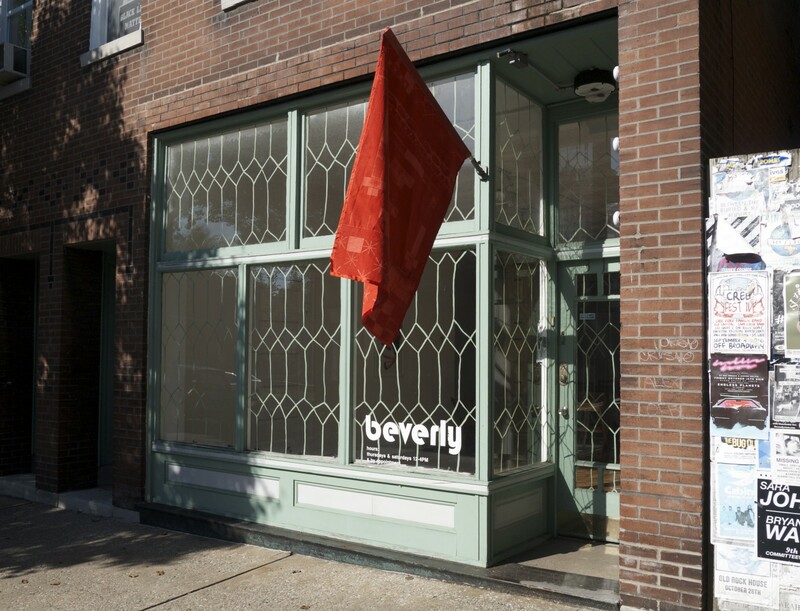 To compliment Beverly’s celadon green façade, Everywhere Around Us was printed in a dramatic, monochromatic red palette which mirrors the hues characteristic of Saint Louis brick–a material permeating the cityscape. 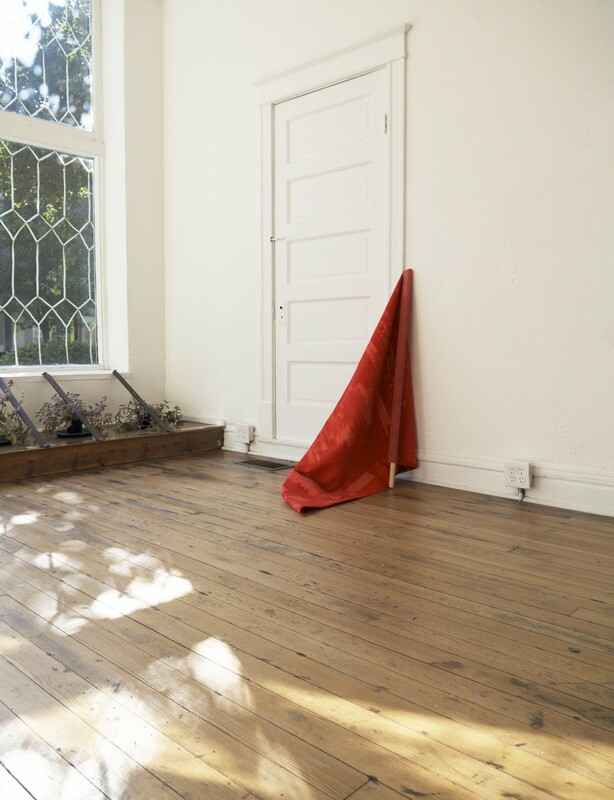 An homage to a place in time, Everywhere Around Us acknowledges the fluidity and transitory nature of neighborhoods, and draws attention to the current moment.